Weches, Texas- East Texas is full of amazing history and natural beauty. 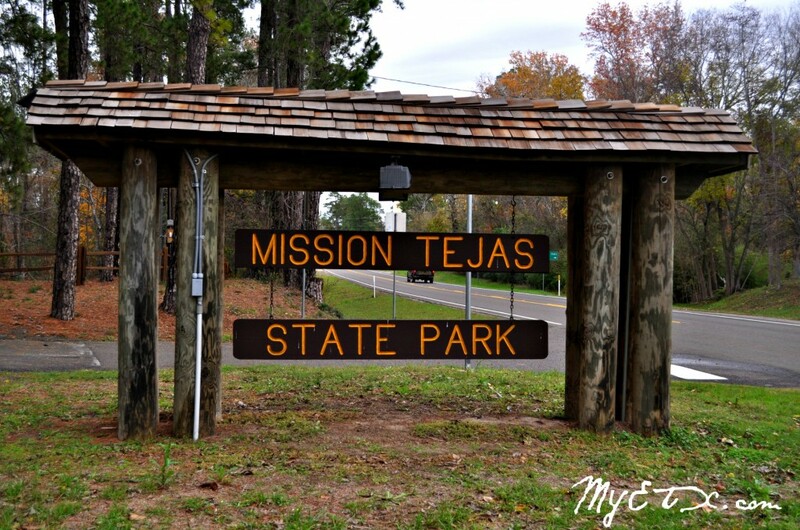 Mission Tejas State Park fully encompasses both the rich history of East Texas and the natural wonder and beauty of the Pineywoods and affords visitors the chance to experience both to the fullest extent. Listed below you will find a January program schedule which details January’s events at the parks. January 10: Guided Tour of The Mission Replica and The Rice Family Log Home! Meet at The Rice Home at 10am, tour will end by 12 noon. January 17: Movie Night! We will be showing “Night at the Museum.” The movie will begin at 6pm at The Pavilion, weather permitting, if necessary we will meet at The Mission. Bring your lawn chair for a comfortable seat! The movie will end by 7:30pm. January 24: Dutch Oven Cooking! This month’s menu features Shepherd’s Pie and Apple Fluff for dessert. Come ready to learn techniques for this fun way to cook and of course, to sample some yummy food. Begins at 11am at The Pavilion and ends by 1pm. January 31: Guided Nature Hike! Join the Ranger for a 2 hour hike through the park featuring the park history, wildlife and plant life. Meet at The Rice Home at 10am. Please wear appropriate clothes, shoes, and bring your water bottle. Miss Hughlene is my neighbor and she is 97 years old and still cooks for herself. In her lifetime she has probably prepared and taken thousands of casseroles to her church, the Union Ridge United Methodist in the Ewell community of Upshur County. I wanted her recipe for Chicken and Dressing, but being of a certain generation she doesn’t cook from a recipe. She said I could come over and take notes when she “fixed” her next batch. This is how it went and for clarity, I interjected where needed. Village Creek Village Creek, formed in northwestern Hardin County, joins with Big Sandy Creek then flows southeast where it meets the Neches River near Silsbee.